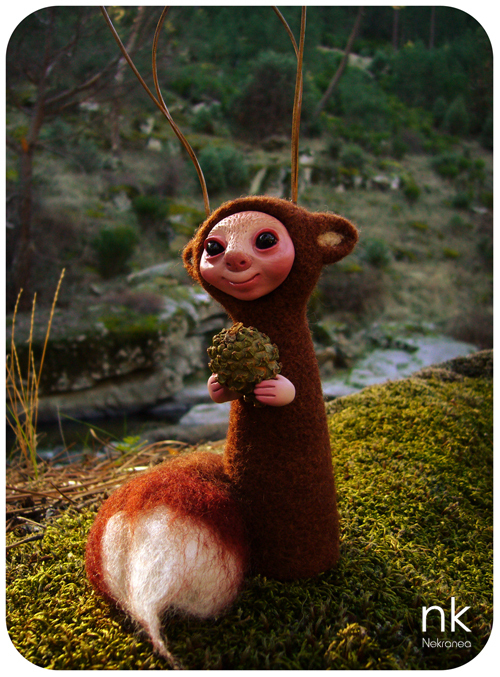 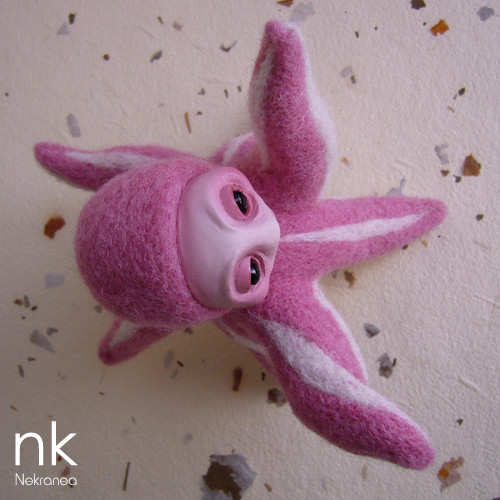 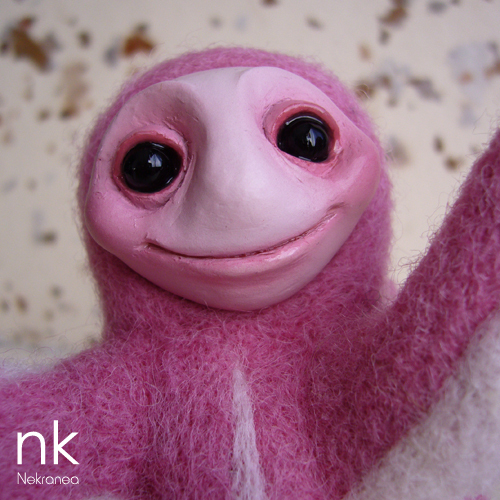 Ïkori is my last creature, he is a little spirit who lives into the pine forests. 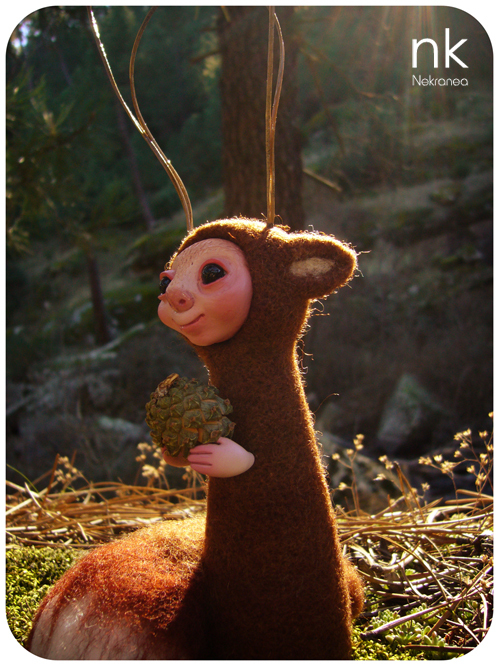 I also used a little pinecone and two pine leaves to make the horns. 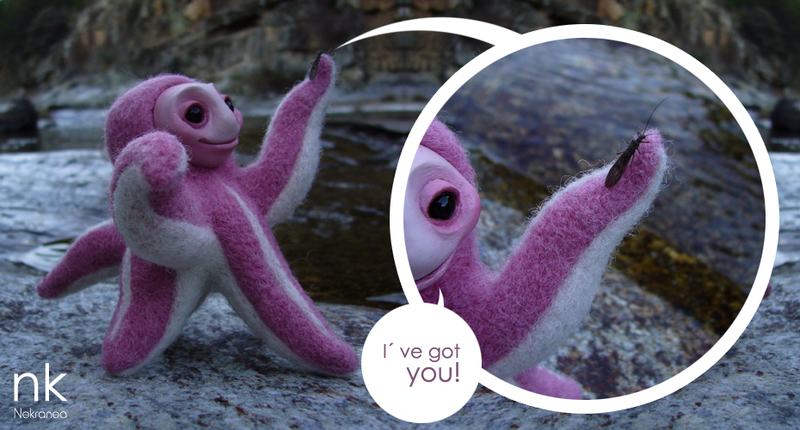 and making new little friends. 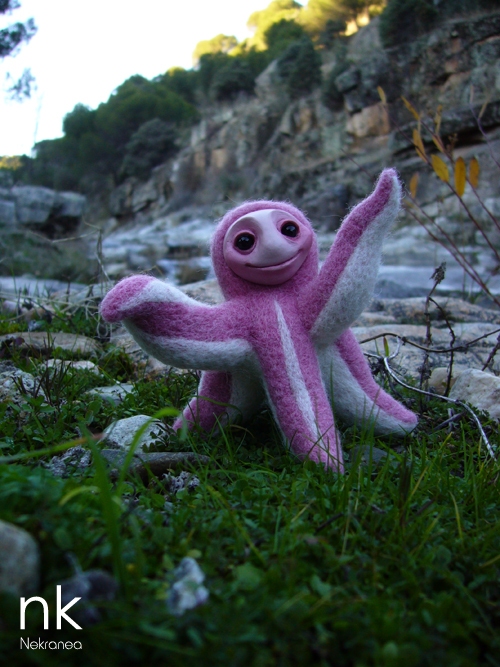 Let me introduce to you my new creature, Little Squidy. 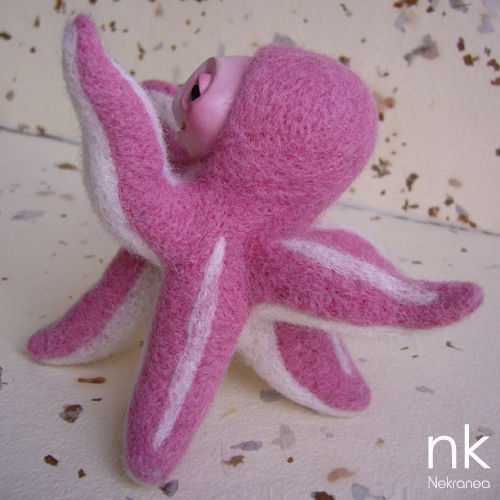 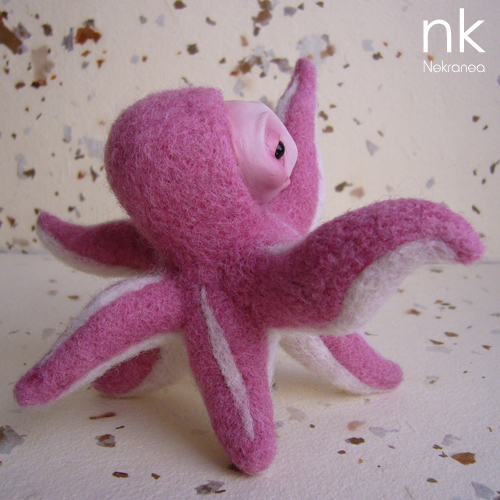 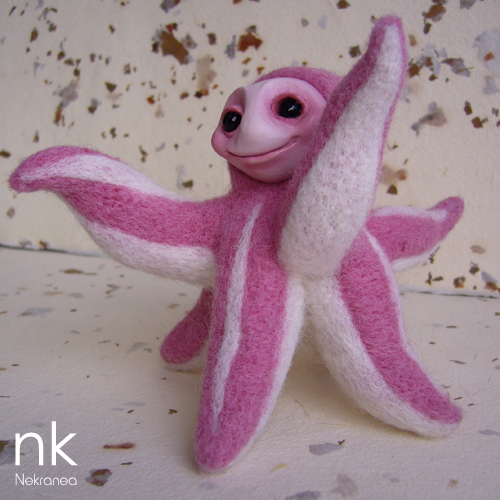 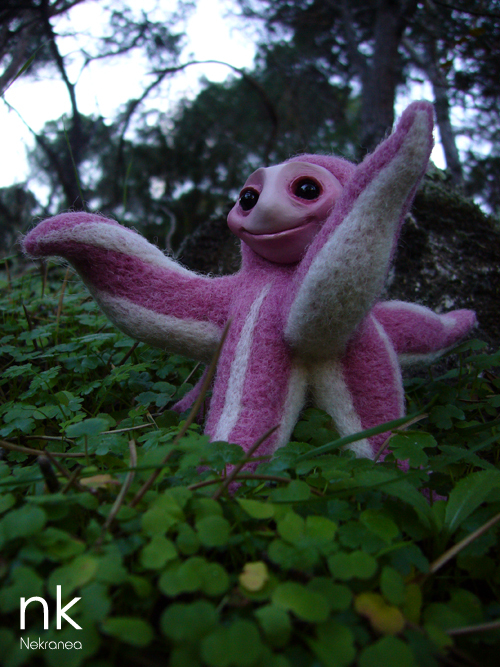 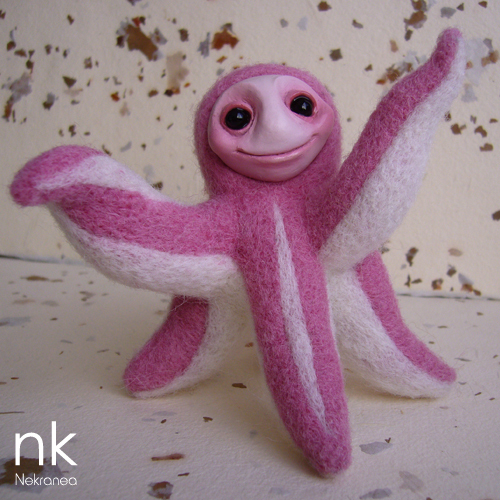 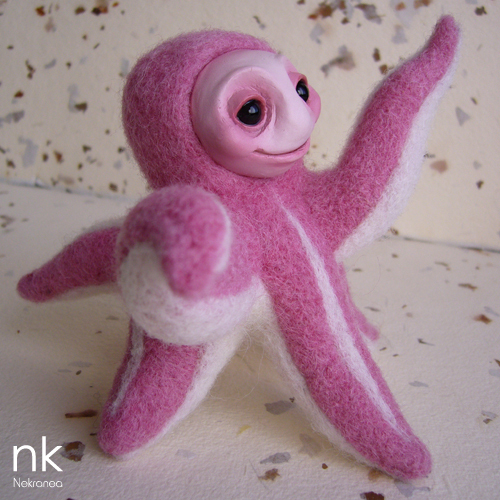 He is made of polymer clay and needle felted. 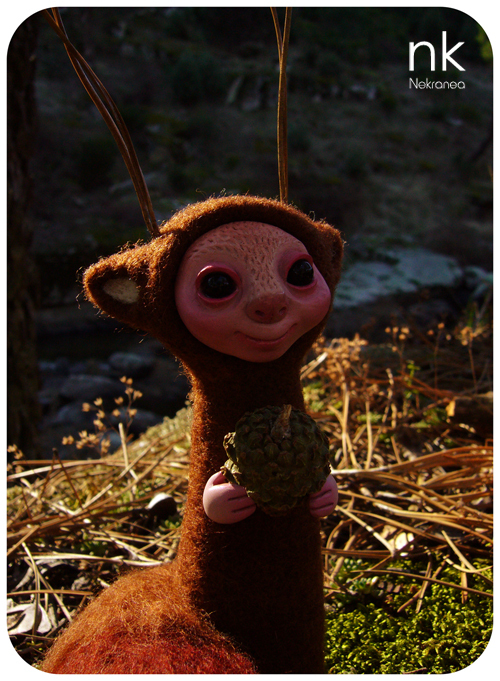 I´ll take some pictures of him in the riverbank this weekend.